I have been on a YA reading kick. If you’re familiar with YA you’ll likely know there is a traditional arc the books typically follow, not unlike hallmark movies or romantic comedies, there’s rarely a twist, and yet, I love them deeply. 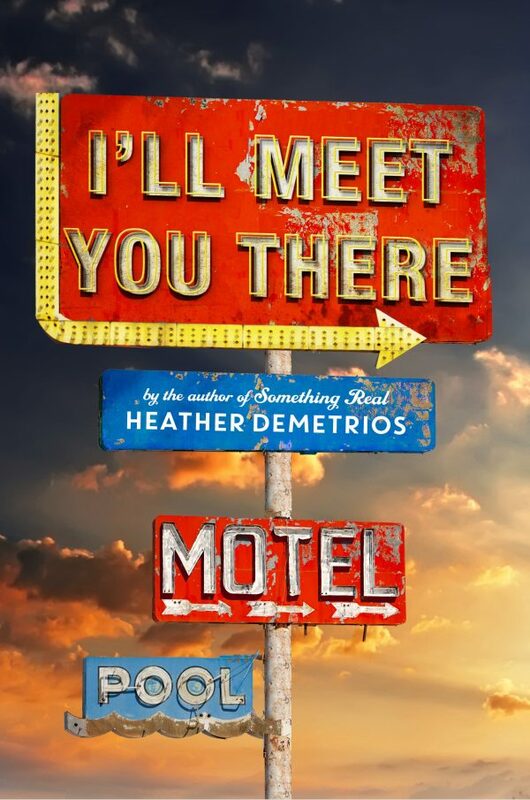 I’ll Meet You There by Heather Demetrios does stand out in the sea of similar fiction for a few reasons. Heather has a command of the written language and creates a stunning turn of phrase voice woven through the narrative of the main character, Skylar. So much that, at points, I even stopped to highlight a few phrases. Truly breathtaking writing. The kind of writing that makes you want to keep reading even if nothing ever happens in the plot. The second standout strong point for this book is, in fact, the plot. Skylar and Josh are from the same small, poverty ridden town in California and reunite after he returns from serving in Afghanistan. There is a beautiful integration of poverty, addiction, PTSD, and highlights on the realities of human shortcomings. The way these topics were shared felt authentic to me and realistic to the circumstance. My only complaint is, in the grand tradition of YA, many aspects wrap up a little too easily/perfectly. I think especially for young adult this can be dangerous because the main demographic that these novels are targeted to, teenagers, continues to encourage unrealistic expectations about love, life, and relationships. The reality is the ending, had it played out in life, would have likely been far more tragic and open ended than what occurred in the book. However, I can also honor that in terms of summer reads, it fits right in with the stereotypes and happy endings. To me a summer read is one that has a good, developed story, flows well, and ultimately wraps up smoothly. After all, nothing says summer like an airy, easy, wrapped up read that mixes right in with the gentler, warmer, lazier season. Despite any unrealistic expectations I would highly recommend this read, if only for the stunning beauty of the writing alone. It is well worth the money and time. What kind of reads do you love to indulge in during the hot summer? Next articleLove A Good Deal? Check Out These 3 Exciting E-Books Sites!